I remember finding an Anthony Bourdain cookbook in Goodwill when I was younger. It forever changed how I looked at cooking. On Friday, June 8, 2018, CNN confirmed that celebrity chef and TV host Anthony Bourdain committed suicide in his hotel room at age 61. Bourdain was in France filming the next episode of his hit CNN show Anthony Bourdain: Parts Unknown. We will never know the pain and suffering that Bourdain went through, in turn causing him to end his life, but we do know the legacy that he leaves behind. Bourdain spent his time here on earth sharing the stories of unique individuals and cultures around the globe. I owe everything to him. I hope to do justice remembering Anthony Bourdain. Here, Bourdain shined a light on some of the lesser known facts about what it is like to work in a kitchen. At one point, Bourdain writes, “The better the restaurant, the more your food has been prodded, poked, handled, and tasted." A well-known fact most people ignore when sitting down to order a meal. This article not only reflects on what goes on, but who works in these “hot, airless spaces": a motley crew of people creating a kitchen family. “[T]he professional kitchen is the last refuge of the misfit." 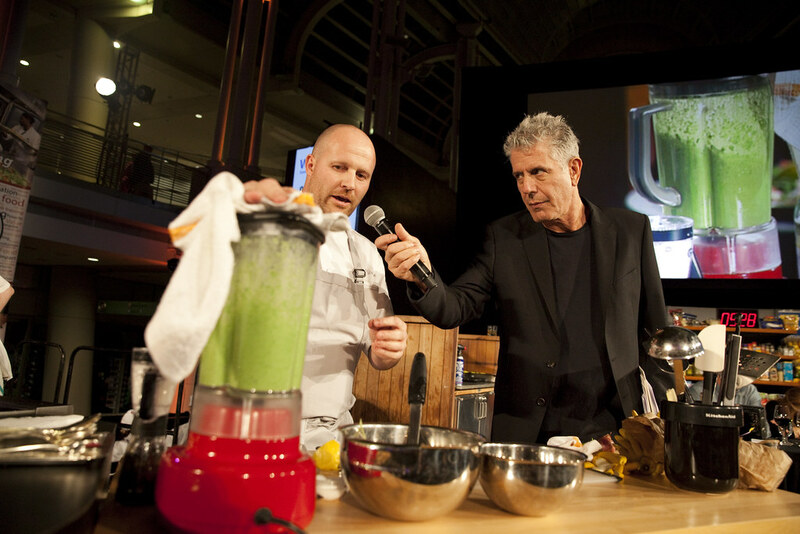 Bourdain expanded on these topics in his 2000 New York Times Bestseller Kitchen Confidential: Adventures in the Culinary Underbelly. Now, 19 years later, Bourdain is the author of 13 books, the host of four TV shows, and hailed as one of America’s leading celebrity chefs. In 2016, Bourdain published his last book, Appetites, a cookbook that includes 40+ essential dishes for the home, one of my favorite cookbooks. It is full of gorgeous photography, great narratives, and a dry wit that only Bourdain could produce. Recently, a friend showed me the last tweet that Anthony Bourdain “liked” on Twitter. Nothing, in my opinion, describes Bourdain better than that. Bourdain was a cinephile. Bourdain was a conversationalist. Bourdain was a historian. And most well-known of all, Bourdain loved food. All of these things led him to create Parts Unknown. During the 11-season run of the show, Bourdain traveled all over the world, meeting new people, and talking with them about almost every topic under the sun. One the most recently filmed episodes in Hong Kong, Bourdain worked with renowned filmmakers Asia Argento and Christopher Doyle. Doyle, who was the director of photography for a fair amount of Won Kar Wai’s films, was picked to appear as a guest on the show, speaking about food and culture in Hong Kong. But as filming began, Du Kefeng, as he’s known locally, took his rightful place behind the camera and mentored the crew, helping to film the Hong Kong landscape. He helped create an overall stunning view of the city, similar to that of his masterpiece 1994 film, Chungking Express. Anthony Bourdain was not shy. Bourdain delved right into current controversial topics like stereotyping, the loss of public discourse, and immigration. He was a huge supporter of the #MeToo movement, condemning men who he worked with for years because of their inappropriate actions towards and against women. What is interesting and unsettling now, looking back at the Hong Kong episode, is that Asia Argento was recently accused of sexual assault by a former employee. Her episode of Parts Unknown has been removed from CNN’s website. Bourdain was a huge supporter of Argento’s work with the #MeToo movement, and for a while, her boyfriend. He died before the allegations hit the press. Argento denies the claims. One of the most popular scenes of the Parts Unknown is when Barack Obama and Bourdain shared stories and discussed US relations over beers and Bun Cha, a traditional Vietnamese noodle bowl with grilled pork bellies. I hope so, Anthony… Thank you for inspiring us all to be better human beings, to be kinder to one another. Parts Unknown concluded its run on June 24, 2018 in Bhutan with director Darron Aronofsky guest starring. No changes were made to the featured image above.